While salespeople often tout timeshares as solid investments, they typically aren’t. 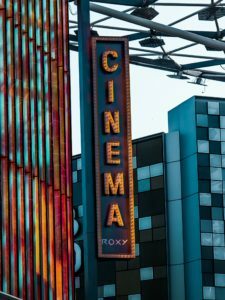 Purchasing rights to the unit can come with a big price tag. You also have to pay maintenance fees every year. However, these aren’t the only expenses timeshare owners face. There are also hidden fees that can make the overall cost skyrocket. This leaves many consumers to wish they hadn’t made their purchase and looking for a way out. So how much is a timeshare? And what will it really cost you? How Much Is a Timeshare? When you buy into a timeshare, you aren’t actually purchasing the property. Instead, you pay for the right to use the unit for a specific amount of time or, as the industry calls it, an interval. Although some properties sell longer intervals, usually, an interval is one week (seven days). In 2017, the average sale price on one interval was $22,180. However, if you finance the timeshare purchase, then you also have to contend with interest. A 10-year timeshare loan is usually set at around 14 percent. This means, for an average property, you’d pay $344 per month, or $3,400 annually, until you pay off the loan. Annual maintenance fees are another expense owners have to contend with, and that averaged $980 for 2017. Generally, this cost goes up every year, as the property reassesses the expense on an annual basis. However, these timeshare costs are pretty well known. On top of them, many owners also have to wrestle with a variety of fees. With many of the fees, taking owners by surprise. Since timeshare owners pay maintenance fees, many assume they aren’t financially responsible for changes made to the buildings. However, some properties charge special assessment fees to complete upgrades on properties. These go above and beyond the maintenance fees. For example, if the property wants to upgrade the building wiring to allow for faster internet speeds, they can require owners to pay more that year. Shared facility remodels, like updating a community kitchen or barbecue area, could also lead to special assessment fees. If another company buys your property, a special assessment fee usually comes with the territory. This is especially true if profitability is an issue. Often, they will cite the need for upgrades to ensure the property meets the brand’s standards. These required upgrades leave consumers to pay up, even if they don’t agree. In some cases, you can even end up paying for improvements at another resort. If a large parent company with multiple properties owns your property, they may spread out the improvement costs from one resort across every timeshare owner in the network. You end up paying a special assessment fee for work you don’t get to benefit from or potentially even get to see. Repairs after a natural disaster may also financially fall on the shoulders of timeshare owners. Even if the property is insured, that doesn’t mean there aren’t additional expenses. If that occurs, properties usually issue a special assessment fee to collect the rest of the money. When other owners don’t pay what they owe, most properties work to recoup these losses elsewhere. At times, this results in a special assessment fee. However, it could also end up with another label. Functionally, these revenue gap fees leave paying owners on the hook for the delinquency or non-payment of others. To make matters worse, even if a delinquent owner ultimately pays what they owe, you aren’t going to see a refund. In an effort to make the initial cost of a timeshare look affordable, some properties use an approach that you usually see with certain hotels in areas like Las Vegas. Instead of the main price reflecting the entire cost of using the unit, they add all-inclusive resort fees in after the fact, and they can be monstrous. For example, a property may charge an additional $150 per person per day for a stay. If a couple stays at the unit for one week, they have to pay an additional $2,100 that year for the trip. And, like most resort fees, you usually can’t get out of them as the property makes them mandatory. Now, it’s not that you don’t get something for that money. Most all-inclusive locations provide guests with meals, beverages, and similar services in exchange for the fee. However, most couples could spend far less than $300 a day when paying for their own food and drinks. In reality, some of the cash is essentially for the convenience of not having to worry about managing such tasks. While this approach is more prevalent in timeshare programs that have multiple properties and use floating points, it’s important to be aware of them regardless. Though contract in perpetuity isn’t technically a fee, it is a financial burden that many families don’t anticipate. 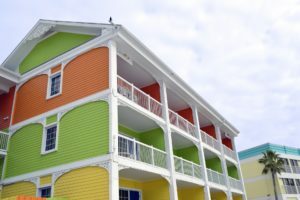 If you purchase a timeshare with that phrase in the paperwork, you aren’t just obligating yourself to stick with the timeshare, but your children or spouse as well. Even if you are the sole owner, if you sign a contract in perpetuity and pass away, a family member then becomes the timeshare owner automatically. They are then on the hook for the remaining and continuing expenses, even if they don’t want access to the unit. Usually, their only recourse is to attempt to sell the property. Once that occurs, the new owner is responsible. However, until someone buys, your family member has to keep up with the costs or the property owner can legally come after them for the funds. Are There Always Hidden Timeshare Fees? Unexpected fees are common in the timeshare industry. Even if your property does not have all-inclusive resort fees or require a contract in perpetuity, special assessment fees are pretty standard. Whenever the roof needs replacing, exterior needs painting, or any other upgrade or repair is necessary you are going to have to pay up. Plus, property owners using fees to fill revenue gaps is also fairly common practice. While those costs may masquerade as another kind of expense, don’t expect the company to take delinquency-related losses in stride. Instead, there is a decent chance they will target other owners to recoup the missing revenue in some form or fashion. However, it’s important to note that many of these expenses are only hidden because buyers don’t review all of their paperwork. Before you sign anything, read all of the fine print. The contract outlines your responsibilities. This includes wording related to additional fees. If you see something in the contract you don’t like, then don’t sign. Otherwise, if you do, you are legally responsible for these costs, even if you didn’t see them coming. If you have already bought your timeshare and now feel like it’s not the right decision, Call 1-888-549-4154 today. The team at Newton Group Transfers is standing by to help. 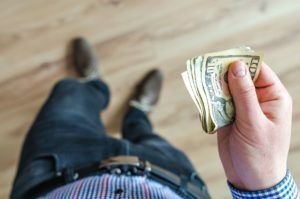 Have you encountered hidden timeshare fees? Tell us about them in the comments below. Based on the most recent Census Bureau estimates, there are more than 180 million credit cardholders in America. Together, they have around 1.3 billion cards. These are split between the major general use credit cards, store cards, and gas cards. 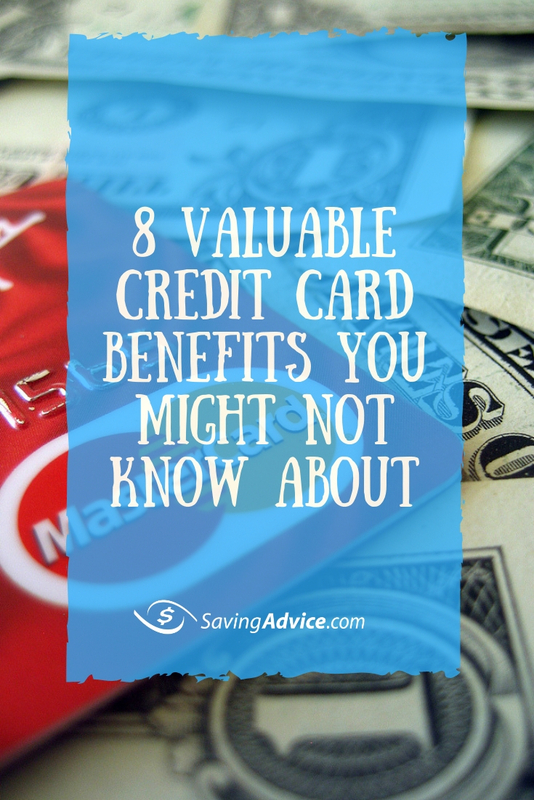 Many come with extra perks and credit card benefits you might not know about. What Types of Credit Card Benefits are Available? While each card is different, the majority come with a benefit or perk. Common credit card perks like cash back and rewards points are fairly well-known. You might also get extra discounts at specific stores, access to exclusive sales, and coupons. However, numerous other credit card perks fly under the radar. Many people miss out on these benefits, simply because they don’t know they are available. Not every card issuer actively markets every credit card benefit that they offer. You have to dig into your credit card agreements and the issuer’s website to learn about them. If you want to make sure you get the most out of your credit card, here are some credit card benefits you should look for. Once only available on credit cards with steep annual fees, refunds for TSA PreCheck or Global Entry application fees are increasingly common on credit cards, particularly those with other travel benefits. Since TSA PreCheck and Global Entry can make getting through airport security easier, it’s worth exploring whether your card offers this perk. Usually, to access the benefit, you need to charge your application fee to the card. Then you might need to request your refund, or it could appear as a statement credit. However, the effort pays off big since the TSA and Global Entry fees are $85 and $100, respectively. A substantial number of airline-branded credit cards allow customers to check one bag for free. It’s free if they purchase their airline tickets on the card and from that airline. In some cases, this travel-oriented credit card perk also extends to your travel companions. However, you may need to purchase their tickets with your card as well. In some cases, certain additional charges, like in-flight food and beverage purchases, are also eligible for refunds or discounts. There might be limitations, but it’s still an easy way to save a little money. In the land of credit card benefits, purchase protection is fairly common. If an item is damaged or stolen during a specific time window and the cardholder files a claim, the issuer will reimburse you for the purchase as long as it was made with the card. Typically, cardholders have 90 or 120 days after the purchase to use this perk. However, coverage maximums usually apply, so you may not receive a reimbursement for the full cost depending on the item’s purchase price. Replacing a damaged smartphone can easily run a few hundred dollars. But some card issuers will cover that expense as long as you use their card to pay your monthly cell phone bills. Generally, cell phone replacement works a lot like insurance. You’ll need to cover a small deductible and file a claim. Additionally, there is usually a benefit maximum per incident, as well as an annual cap and claim limit. While not being liable for fraudulent charges on a credit card is standard practice, some card issuers go a step further and provide cardholders with additional identity theft assistance. These programs help ID theft victims with anything from completing necessary forms (like police reports) to contacting other creditors to begin mitigating the damage. Additionally, many card issuers provide customers with credit monitoring tools, including the ability to receive alerts regarding changes on your credit report. In most cases, these tools also give you access to your credit score for free. However, not every issuer displays your FICO score. Instead, you may see your Vantage score, which isn’t as commonly used in credit decisions. But, that doesn’t mean the information doesn’t provide value, as changes in your Vantage score could indicate your FICO score may have shifted as well. When renting a car, the car rental company typically offers additional insurance to the driver. Saying no to the collision protection service can save you up to $30 a day, but leave you financially liable if you are responsible for an accident. However, many credit card issuers provide cardholders with some secondary rental car insurance coverage if they use the card to pay for the rental. 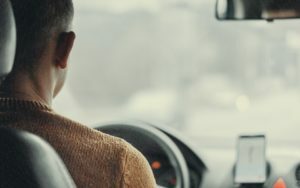 A few credit card companies even offer primary insurance coverage, allowing you to use their benefit before your personal auto insurance policy. The nature of the coverage can vary dramatically, so it’s wise to check with your issuer to see exactly what is available. If your travel plans go a bit awry, your credit card issuer may be able to help. In some cases, you can request refunds on specific expenses that directly relate to the incident as long as you bought them with the card. For example, if a weather event prevents your flight from leaving on time, causing you to need a hotel for the night, that expense may qualify. If you lose your luggage during the trip, you may be eligible for a reimbursement to help cover the cost of the missing items. Again, this one of many credit card benefits that can vary dramatically between issuers who offer it, so you need to check with yours directly to see what coverage may be available. If you travel overseas, converting your currency into the local one can be expensive. Many currency exchanges charge high fees and use unfavorable exchange rates as a means of generating profit. But some credit card issuers help mitigate these costs by allowing you to bypass the need to obtain local currency entirely. Certain credit cards don’t charge foreign transaction fees and may use more favorable exchange rates. If you use your card to pay for goods and services instead of converting cash to the local currency, you can actually come out ahead. Does My Credit Card Provide These Benefits? Often, you can find information regarding any available credit card benefits on the issuer’s website. You can also reach out to customer service if you can’t find the details you need. Ultimately, no two credit cards are completely alike. Even two cards offered by the same issuer typically have access to different perks, so you need to check with the company to see what is available to you. Do you have any favorite credit card benefits? Tell us about them in the comments below. 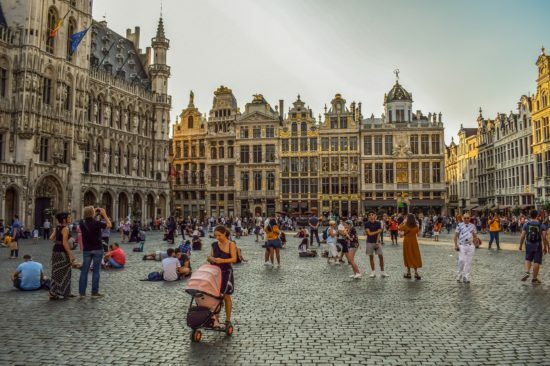 Belgium is known as one of the toughest countries to get a working VISA from, but sometimes all it takes is having the right information at your disposal in order to make the right moves, and that’s what we‘re here to help you with. If you’re a non-EU citizen looking for info on how to get a Belgian working VISA, you’ll probably find the following guide both helpful and insightful. As you’ll see below, your ability to obtain a working VISA in Belgium is largely predicated on your residence status in the country. A lot of the time you need to have secured work already before you can apply for the VISA in the first place. A Permits: A permits specifically apply to non-EU citizens that have been residing in Belgium for five consecutive years, as well as the non-EU spouses of EU citizens. In order to apply for this permit, you need to have been staying in Belgium for a period of 10 years and working with a B Permit for a minimum of 4 years. The completed application form for an ‘A Permit’ needs to be accompanied by your residence permit, your payslips and certified copies of your B Permit, which you will submit at your local immigration office. It’s important to note here that if you’re a national of Bosnia, Kozovo, Algeria, Tunisia, Morocco, Macedonia, Serbia, Montenegro, Turkey and Herzegovina, then your residency requirement can be reduced to 3 years for an A Permit. B Permits: Belgian employers are usually required to apply for this permit on behalf of their employees. Reason being that the employer needs to prove that they were unable to find a suitably qualified local to perform the job, hence the necessity to hire a non-national. So if your employer is the one organizing your Belgian work permit then it probably falls under this legislation and will be valid for one year with the option to renew. Your application for this permit will have to be accompanied by your latest medical certificate as well to prove that you’re in good health. If you’ve been hired in a clerical position or as a manual worker, your application should also be accompanied by a prescribed contract of employment which will be signed by both you and your Belgian employer. Just make sure to follow the rules and stay in your home country until your work permit has been issued, as staying in Belgium before that can jeopardize your chances of getting a B Permit. C Permits: Similar to B permits, C permits are valid for only one year with the difference being that they do not come with an option to renew. Also, C permits are exclusively meant for domestic helpers, au pairs, agricultural workers, students and anyone who’s staying and/or working in Belgium for a temporary period of time. Here are some extra tips to help you obtain your Belgium working Visa. Learn the Local Language: Be sure to learn French before you start looking for work in Belgium as that will serve you in good stead with employers and officials alike. Get an Internship: Those in the know say that working as an intern or trainee in Belgium for 6 to 12 months will increase your chances of obtaining a B permit, as your experience in said company will give your employer stronger ground to argue that you’re more suitable for the job even though you’re a non-EU citizen. Study at a Belgian University: As a University student with a student VISA, you’ll have a better chance of obtaining part-time work which you can then leverage to apply for an A permit later on. 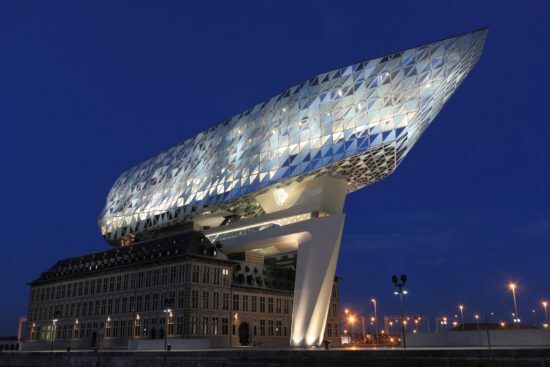 If you’re familiar with how a Belgium work visa works then it’ll be easier for you to understand the process of obtaining a Belgium working VISA. Nevertheless, unless you’re a citizen of an EU or EEA country as well as Switzerland, you will need a working VISA in order to legally stay and work in Belgium. We hope this little guide has helped you to understand the requirements of getting a Belgium working VISA and that you will now be able to obtain the right working permit for your needs. By and large, timeshares don’t represent a good investment. They cost tens of thousands of dollars to purchase, come with annual maintenance fees that generally climb every year, and aren’t easily resold. However, that doesn’t deter people from considering them. This leaves many to wonder, are timeshares ever worth it? Even though timeshares have a reputation for being expensive, that doesn’t mean they don’t offer certain benefits over other vacation options. One of the main features of owning a timeshare is the predictability. You know exactly where you can stay and when you have access to the unit. Essentially, the ability to spend time at the timeshare is guaranteed. For individuals who like to plan well in advance, this can offer a lot of peace of mind. Additionally, many timeshares come with features that aren’t always available in all hotels. For example, you may have a full kitchen or a decent sized kitchenette. These amenities make it easier to prepare your own meals. A lot of timeshares also have living areas and separate bedrooms, making them feel more like an apartment or condo than a hotel. Now, this isn’t to say that you can’t find those features in a hotel. There are numerous chains, especially those that cater to extended stays, that offer similar arrangements. However, they might not be as prevalent as traditional rooms, depending on your destination. In many cases, the cost of a timeshare is the biggest drawback. Along with paying for your portion of the unit, you have to contend with annual maintenance fees. And, if you financed the purchase, you’re also spending money on interest along the way. Usually, you’ll spend significantly more on a timeshare than you would on a five-star hotel room in the same city, particularly if you are paying down a timeshare loan. Further, you may not have access to all of the amenities you can get with a hotel, like concierge services or continental breakfasts. For some, the predictability a timeshare offers isn’t actually a benefit; it’s a hindrance. If you are restricted to a single unit, then you can’t necessarily swap time at your timeshare for something else. Plus, if you can only use the property during a predetermined week each year, you have to take a vacation then or risk missing out for the year. Selling a timeshare is also usually a challenge. In the vast majority of cases, you aren’t going to recoup what you spent in the first place. Plus, market oversaturation is common. Unless you have a highly desirable unit in a great location, it can take months or years to offload a timeshare, and you’ll often have to deal with a loss to get it off your hands. Is There Such a Thing as an Affordable Timeshare? While the majority of timeshares aren’t a wise investment, that doesn’t mean there aren’t deals. However, if you want to find one, you need to abandon the idea of buying into a new property. The timeshare resale market can hold some bargains. 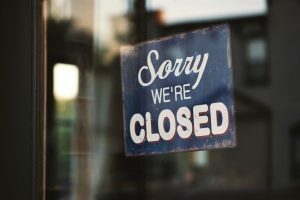 Since many timeshare owners are desperate to offload their timeshares, they may be willing to sell you theirs for cheap. Effectively, by buying a “used” timeshare, you can avoid paying retail, and that can make all of the difference. In some situations, buyers report finding timeshares on the resale market for less than a dollar. Usually, this happens when the owner simply wants to get out of paying for the annual maintenance fees and is willing to let the property go for nothing. If you can find a significantly discounted timeshare, your only property-related cost becomes the maintenance fees. In those cases, a timeshare can actually be reasonably affordable. For example, if you secure a week (seven days) at a timeshare for a dollar and are only responsible for $980 in maintenance fees (the national average), you’re effectively spending $140 per day for that time. Depending on the size of the unit and any amenities, that may be fairly competitive, when compared to similarly appointed hotel rooms. So, Are Timeshares Ever Worth It? While a timeshare isn’t going to be a smart buying decision for many people, there are situations where they aren’t a horrible choice. If you focus on the resale market, you can potentially acquire a timeshare at a reasonable price. Then, as long as the maintenance fees are less than what you would spend on a comparable hotel, you can possibly come out ahead. However, if you aren’t willing to vacation at the same place, potentially during the same week, year in and year out, a timeshare might not be right for you, even if the cost is reasonable. In most cases, timeshare arrangements lack flexibility, so, if the unexpected prevents you from going, you just miss out that year. Plus, when you buy a timeshare, you’re locked in for the long-term. 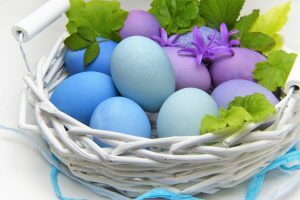 Even if you don’t use the property every year, you have to pay the annual maintenance fees. Over time, maintenance fees are practically guaranteed to rise, so it is going to cost you more down the road than it does today. And, if you decide that you want to get out of that obligation, it can take a lot of time to sell. If you are considering buying a timeshare, you need to be incredibly realistic about your situation. Can you use it every year without question? Do you want to vacation in the same location over and over? Are the maintenance fees truly affordable? Can you get a similar space at a hotel without that level of commitment? By considering those questions, you can figure out if a timeshare is worth it to you. Often, people discover that they aren’t, but everyone is different. If you understand the risks and costs and still think it’s the right move, then it’s an option on the table. Have you bought into a timeshare and found that it was worth it? Tell us about your experience in the comments below. In 2017, timeshare sales volume hit $9.6 billion in the U.S. That’s a nearly 4 percent increase over 2016 and a 26 percent increase from 2013. But, even if people are buying into timeshares, it doesn’t mean they’re a great value. In fact, as a consumer, figuring out what a timeshare will cost can be a challenge. How much do timeshares cost? Many consumers will be surprised by the answer. When you own a timeshare, you aren’t actually purchasing the property. Instead, you become one of many buyers who have a stake in the unit. Timeshare owners buy “intervals” at a specific property. Each interval represents a certain amount of time, usually a week. If you purchase one interval, you “own” the property for one week each year. During that period, you can stay in the unit. It’s important to note that not all units are sold in one-week intervals. In some cases, the interval is one-tenth or one-quarter of a year, but those aren’t nearly as common as those based on a week. For 2017, the average sale price of a timeshare interval was $22,180. In the vast majority of cases, this amount is due upfront. However, not unlike buying a home with a mortgage, financing options are usually available. If that’s the route you choose, it’s important to understand that the interest rates are typically much higher than with a mortgage. Even though a timeshare is a physical property, it isn’t one that you fully own. If you default on the loan, the lender can’t foreclose on the unit and resell it to recuperate their losses. 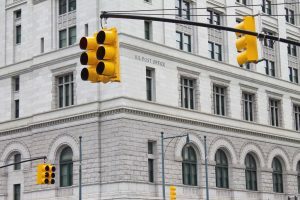 Since the lender is taking on more risk in these arrangements that other loans associated with physical assets, the interest rate is usually higher to compensate. On average, 10-year timeshare loans from the resort come with interest rates of 14 percent. However, borrowers with lower credit ratings or loans through specific lenders may reach closer to 20 percent. If you finance a $22,180 timeshare for 10 years at 14 percent, you’ll pay $344 per month, or $3,440 a year, for the next decade. Over the course of the loan, you’ll pay over $19,000 just in interest. In total, buying the timeshare cost around $41,000. If you end up with a 20 percent interest rate instead, you’ll owe $429 per month, or $4,290 a year. By the time you pay off the loan 10 years later, you’ll have paid nearly $30,000 in interest alone. That brings the total cost of the timeshare to around $52,000. But that isn’t all you have to pay for with a timeshare. You’ll have to deal with maintenance fees too. In 2017, the average maintenance fee for a timeshare was $980. While that may not sound like a lot of the surface, if you consider that most timeshare owners only have access to the property for one week each year, that’s an awfully high price to pay. Additionally, it showcases precisely how much timeshare resorts make from maintenance fees alone. If every owner has rights to one week a year, that means the property can have 52 owners. If each of those owners pays that $980 fee, that’s a total of $50,960 per year, and that’s only for one unit. With approximately 1,570 timeshare resorts in the U.S. and 205,100 units between them, the average U.S. resort has about 131 units. Annually, an average resort brings in an astonishing $6.6+ million in maintenance fees alone. Unlike paying for an interval, maintenance fees are due every year. Additionally, this cost tends to trend upward, so maintenance fees almost always end up more expensive over the long run, not less. It’s also important to understand that, while the average fee is $980, some maintenance costs are much higher. Some high-end properties have maintenance fees that reach $3,000 or more for one-week interval owners, which many would deem to be unaffordable. So, How Much Do Timeshares Cost? 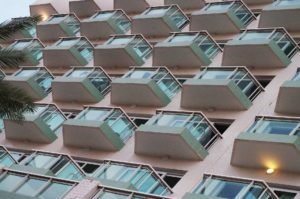 Based on the metrics above, while you are paying off a timeshare property and dealing with maintenance fees, the unit costs between $4,420 and $5,270 for a single interval each year. If you only get access to the property for a week (seven days) every year, you are effectively paying between $631 and $752 per night for the 10 years you are paying off the loan on the interval for the unit. To put that in perspective, the average cost of a five-star hotel in New York is around $362 per night. In Florida, the average is $336 for a five-star hotel, and Nevada, the home of Las Vegas, comes in at $239 per night. Plus, when you buy a timeshare, you might not gain access to features you would get at a hotel. While the units often have full kitchens, something that may help you save on meals, not all of them do. Additionally, benefits like a continental breakfast aren’t always part of the package. Housekeeping may also be somewhat limited at timeshares during the course of your stay, and you could be responsible for specific tasks like taking your own garbage to a dumpster on the property or putting used dishes in a dishwasher on your last day. While this isn’t always the case, you have to read the fine print to make sure. Otherwise, you could be stuck with a fine for failing to adhere to the rules. Concierge-style services can also vary, so the amount of support you get from the organization operating the timeshare property may not rival area five-star hotels either. Now, once you spend a decade paying off the timeshare loan, the cost per night at the timeshare does drop to $140, based on current average maintenance costs. However, that amount will likely increase every year, and you may not see any amenity offerings improve over time. 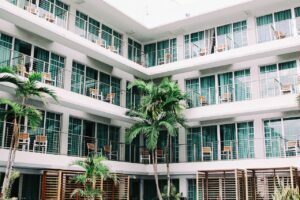 Ultimately, the cost of a timeshare is usually significantly higher than paying for other forms of accommodations, at least during the time you are paying off the loan. Plus, you are often locked into a particular property and possibly even a specific week each year. If you aren’t able to vacation during that time or at that location, you don’t get your money back. Instead, it was simply wasted that year. If you can’t imagine practically tossing $4,400+ out a window if you can’t make it, then a timeshare probably isn’t right for you. If you are stuck in a timeshare and want to get out from under that burden, we recommend contacting Newton Group Transfers at 1-888-549-4154. They are a timeshare exit company with a stellar reputation and have been helping timeshare owners since 2003. They are also A+ rated by the Better Business Bureau (BBB) and were recently named finalists for the BBB Torch Award for Ethics. How much do timeshares cost? Did you know before reading this article? Tell us more in the comments below. Will a Timeshare Save You Money on Future Vacations? Timeshares have a controversial role in the vacation industry. Usually, they are touted as investments, making them sound like smart financial decisions. Often, their convenience is a major selling point, according to the sellers. But, in the end, timeshares are rarely either, making them incredibly bad for you and your finances. In most cases, you first have to pay off your timeshare. If you secure a loan through the timeshare company, it usually takes years to finish paying this debt, especially since the interest rates tend to be high. Even after you pay off your timeshare, you aren’t out of the woods. For the entire time you own a timeshare, you are typically responsible for hundreds of dollars each year in maintenance fees. Plus, this expense usually goes up every year. To make matters worse, you have to pay these fees even if you don’t use your timeshare allotment. And, if you miss one of those payments, the timeshare company can potentially foreclose on you. Calling a timeshare an investment is really a misnomer. Investments should help you generate income or at least increase in value, allowing you to profit when you sell. However, timeshares generally don’t meet either of those criteria. Instead, they are an expense; a long-term financial burden you can’t easily unload. Timeshares don’t operate like other forms of real estate. In many cases, they lose value over time, even if the location is generally desirable. Plus, the supply of timeshares far outweighs demand. If you want to sell, you usually have to do so at a loss and, even then, it could take months or years to get it off your hands. Additionally, even if you do sell at a loss, you can’t claim it as a capital loss on your taxes, making the situation worse. In the meantime, you can’t earn much income from timeshares either. Your only option is to potentially rent your timeshare out during your allotted time. However, unless you can rent it for enough to cover your maintenance fees and loan payment, you’re still losing money. While timeshare participants are sold as being “owners,” that isn’t really true either. You don’t officially have many rights to the property itself. Instead, you are a co-owner, and one of many. Usually, you can’t do anything to the unit to make it more valuable to potential buyers or more personal, simply as a means of enjoyment. Salespeople try to tell you that timeshares are convenient. They claim you’ll save money in comparison to setting up family vacations every year, but that usually isn’t true. When you add the cost of a timeshare and the maintenance fees together, coming out ahead isn’t common. Plus, you are locked into a specific week and location every year. If you want to travel to another destination, that timeshare can’t come with you. And, if you can’t go on a trip during that particular week, you usually can’t reschedule for another time. Instead, you are stuck with one scenario, year-in, and year-out. If you do decide to travel elsewhere, then you are paying for a timeshare and a separate vacation, which isn’t convenient or cost-effective. Ultimately, no matter what the salesperson says, timeshares are bad for most people. They aren’t a good investment or a convenient, cost-saving vacation solution. Instead, they are an expense, a financial burden that is incredibly hard to escape. If you do manage to get out of it, you usually take a serious loss, and you can’t even use that to lower your tax burden. In many ways, timeshares are a trap, so make sure to look past the flashy promotions and overzealous sales presentation and really read the fine print if you even consider one. Otherwise, you’ll likely regret your decision. If you have already made the decision to get a timeshare before reading this article and now you want out, you can contact The Newton Group Transfers at 1-888-549-4154. They are there to help turn this bad decision around. Call them today! Have you ever gotten tangled up in a timeshare? Tell us about your experience in the comments below. Are You Kidding Me with These Hotel Fees?